This delightful morality tale about 10 year-old Benjamin Franklin stealing a pile of stones for what he thought was the public's benefit, was published in Nathaniel Hawthorne's, True Stories from History and Biography (1851). Enjoy more stories by and about Benjamin Franklin, including his best quotes. In the year 1716, or about that period, a boy used to be seen in the streets of Boston, who was known among his schoolfellows and playmates by the name of Ben Franklin. Ben was born in 1706; so that he was now about ten years old. His father, who had come over from England, was a soap-boiler and tallow-chandler, and resided in Milk Street, not far from the old South Church. Ben was a bright boy at his book, and even a brighter one when at play with his comrades. He had some remarkable qualities which always seemed to give him the lead, whether at sport or in more serious matters. I might tell you a number of amusing anecdotes about him. You are acquainted, I suppose, with his famous story of the WHISTLE, and how he bought it with a whole pocketful of coppers, and afterwards repented of his bargain. But Ben had grown a great boy since those days, and had gained wisdom by experience; for it was one of his peculiarities, that no incident ever happened to him without teaching him some valuable lesson. Thus he generally profited more by his misfortunes, than many people do by the most favorable events that could befall them. Ben's face was already pretty well known to the inhabitants of Boston. The selectmen, and other people of note, often used to visit his father, for the sake of talking about the affairs of the town or province. Mr. Franklin was considered a person of great wisdom and integrity, and was respected by all who knew him, although he supported his family by the humble trade of boiling soap, and making tallow-candles. While his father and the visitors were holding deep consultations about public affairs, little Ben would sit on his stool in a corner, listening with the greatest interest, as if he understood every word. Indeed, his features were so full of intelligence, that there could be but little doubt, not only that he understood what was said, but that he could have expressed some very sagacious opinions out of his own mind. But, in those days, boys were expected to be silent in the presence of their elders. However, Ben Franklin was looked upon as a very promising lad, who would talk and act wisely by and by. "Neighbor Franklin," his father's friends would sometimes say, "you ought to send this boy to college and make a minister of him." "I have often thought of it," his father would reply; "and my brother Benjamin promises to give him a great many volumes of manuscript sermons in case he should be educated for the church. But I have a large family to support, and cannot afford the expense." In fact, Mr. Franklin found it so difficult to provide bread for his family, that, when the boy was ten years old, it became necessary to take him from school. Ben was then employed in cutting candlewicks into equal lengths, and filling the moulds with tallow; and many families in Boston spent their evenings by the light of the candles which he had helped to make. Thus, you see, in his early days, as well as in his manhood his labors contributed to throw light upon dark matters. Busy as his life now was, Ben still found time to keep company with his former schoolfellows. He and the other boys were very fond of fishing, and spent any of their leisure hours on the margin of the mill-pond, catching flounders, perch, eels, and tom-cod, which came up thither with the tide. The place where they fished is now, probably, covered with stone-pavements and brick buildings, and thronged with people, and with vehicles of all kinds. But, at that period, it was a marshy spot on the outskirts of the town, where gulls flitted and screamed overhead, and salt meadow-grass grew under foot. On the edge of the water there was a deep bed of clay, in which the boys were forced to stand, while they caught their fish. Here they dabbled in mud and mire like a flock of ducks. "This is very uncomfortable," said Ben Franklin one day to his comrades, while they were standing mid-leg deep in the quagmire. "So it is," said the other boys. "What a pity we have no better place to stand!" "Boys," cried he, "I have thought of a scheme, which will be greatly for our benefit, and for the public benefit!" It was queer enough, to be sure, to hear this little chap—this rosy-cheeked, ten-year-old boy—talking about schemes for the public benefit! Nevertheless, his companions were ready to listen, being assured that Ben's scheme, whatever it was, would be well worth their attention. They remembered how sagaciously he had conducted all their enterprises, ever since he had been old enough to wear small-clothes. They remembered, too, his wonderful contrivance of sailing across the mill-pond by lying flat on his back, in the water, and allowing himself to be drawn along by a paper-kite. If Ben could do that, he might certainly do any thing. "What is your scheme, Ben?—what is it?" cried they all. It so happened that they had now come to a spot of ground where a new house was to be built. 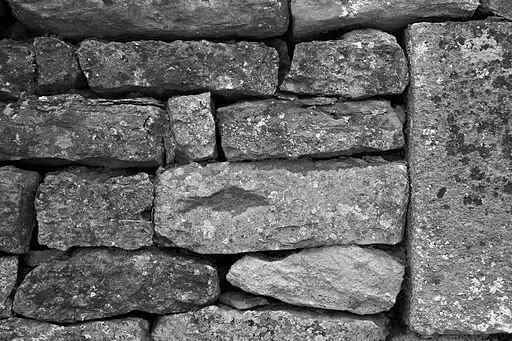 Scattered round about lay a great many large stones, which were to be used for the cellar and foundation. Ben mounted upon the highest of these stones, so that he might speak with the more authority. "You know, lads," said he, "what a plague it is, to be forced to stand in the quagmire yonder—over shoes and stockings (if we wear any) in mud and water. See! I am bedaubed to the knees of my small-clothes, and you are all in the same pickle. Unless we can find some remedy for this evil, our fishing-business must be entirely given up. And, surely, this would be a terrible misfortune!" "That it would!—that it would!" said his comrades, sorrowfully. "Now I propose," continued Master Benjamin, "that we build a wharf, for the purpose of carrying on our fisheries. You see these stones. The workmen mean to use them for the underpinning of a house; but that would be for only one man's advantage. My plan is to take these same stones, and carry them to the edge of the water and build a wharf with them. This will not only enable us to carry on the fishing business with comfort, and to better advantage, but it will likewise be a great convenience to boats passing up and down the stream. Thus, instead of one man, fifty, or a hundred, or a thousand, besides ourselves, may be benefited by these stones. What say you, lads?—shall we build the wharf?" Ben's proposal was received with one of those uproarious shouts, wherewith boys usually express their delight at whatever completely suits their views. Nobody thought of questioning the right and justice of building a wharf, with stones that belonged to another person. "Hurrah, hurrah!" shouted they. "Let's set about it!" It was agreed that they should all be on the spot, that evening, and commence their grand public enterprise by moonlight. Accordingly, at the appointed time, the whole gang of youthful laborers assembled, and eagerly began to remove the stones. They had not calculated how much toil would be requisite, in this important part of their undertaking. The very first stone which they laid hold of, proved so heavy, that it almost seemed to be fastened to the ground. Nothing but Ben Franklin's cheerful and resolute spirit could have induced them to persevere. Ben, as might be expected, was the soul of the enterprise. By his mechanical genius, he contrived methods to lighten the labor of transporting the stones; so that one boy, under his directions, would perform as much as half a dozen, if left to themselves. Whenever their spirits flagged, he had some joke ready, which seemed to renew their strength by setting them all into a roar of laughter. And when, after an hour or two of hard work, the stones were transported to the water-side, Ben Franklin was the engineer, to superintend the construction of the wharf. "Now, boys," cried Ben, "let's give three cheers, and go home to bed. To-morrow, we may catch fish at our ease!" "Hurrah! hurrah! hurrah!" shouted his comrades. Then they all went home, in such an ecstasy of delight that they could hardly get a wink of sleep. "How I wish that I could have helped to build that wharf!" exclaimed he. "It must have been glorious fun. Ben Franklin for ever, say I!" "Father," inquired Edward, "whereabouts in Boston was the mill-pond, on which Ben built his wharf?" In the morning, when the early sunbeams were gleaming on the steeples and roofs of the town, and gilding the water that surrounded it, the masons came, rubbing their eyes, to begin their work at the foundation of the new house. But, on reaching the spot, they rubbed their eyes so much the harder. What had become of their heap of stones! "Why, Sam," said one to another, in great perplexity, "here's been some witchcraft at work, while we were asleep. The stones must have flown away through the air!" The master-mason, who was a gruff kind of man, stood scratching his head, and said nothing, at first. But, looking carefully on the ground, he discerned innumerable tracks of little feet, some with shoes, and some barefoot. Following these tracks with his eye, he saw that they formed a beaten path towards the water-side. "Ah, I see what the mischief is," said he, nodding his head. "Those little rascals, the boys! they have stolen our stones to build a wharf with!" The masons immediately went to examine the new structure. And to say the truth, it was well worth looking at, so neatly, and with such admirable skill, had it been planned and finished. The stones were put together so securely, that there was no danger of their being loosened by the tide, however swiftly it might sweep along. There was a broad and safe platform to stand upon, whence the little fishermen might cast their lines into deep water, and draw up fish in abundance. Indeed, it almost seemed as if Ben and his comrades might be forgiven for taking the stones, because they had done their job in such a workmanlike manner. "The chaps, that built this wharf, understood their business pretty well," said one of the masons. "I should not be ashamed of such a piece of work myself." But the master-mason did not seem to enjoy the joke. He was one of those unreasonable people, who care a great deal more for their own rights and privileges, than for the convenience of all the rest of the world. So Sam called a constable, and inquiries were set on foot to discover the perpetrators of the theft. In the course of the day, warrants were issued, with the signature of a Justice of the Peace, to take the bodies of Benjamin Franklin and other evil-disposed persons, who had stolen a heap of stones. If the owner of the stolen property had not been more merciful than the master-mason, it might have gone hard with our friend Benjamin and his fellow-laborers. But, luckily for them, the gentleman had a respect for Ben's father, and moreover, was amused with the spirit of the whole affair. He therefore let the culprits off pretty easily. But, when the constables were dismissed, the poor boys had to go through another trial, and receive sentence, and suffer execution too, from their own fathers. Many a rod I grieve to say, was worn to the stump, on that unlucky night. As for Ben, he was less afraid of a whipping than of his father's disapprobation. Mr. Franklin, as I have mentioned before, was a sagacious man, and also an inflexibly upright one. He had read much, for a person in his rank of life, and had pondered upon the ways of the world, until he had gained more wisdom than a whole library of books could have taught him. Ben had a greater reverence for his father, than for any other person in the world, as well on account of his spotless integrity, as of his practical sense and deep views of things. Consequently, after being released from the clutches of the law, Ben came into his father's presence, with no small perturbation of mind. The boy approached, and stood before his father's chair, waiting reverently to hear what judgment this good man would pass upon his late offence. He felt that now the right and wrong of the whole matter would be made to appear. "Benjamin," said his father, "what could induce you to take property which did not belong to you?" "Why, father," replied Ben, hanging his head, at first, but then lifting his eyes to Mr. Franklin's face, "if it had been merely for my own benefit, I never should have dreamed of it. But I knew that the wharf would be a public convenience. If the owner of the stones should build a house with them, nobody will enjoy any advantage except himself. Now, I made use of them in a way that was for the advantage of many persons. I thought it right to aim at doing good to the greatest number." "My son," said Mr. Franklin, solemnly, "so far as it was in your power, you have done a greater harm to the public, than to the owner of the stones." "How can that be, father?" asked Ben. "Because," answered his father, "in building your wharf with stolen materials, you have committed a moral wrong. There is no more terrible mistake, than to violate what is eternally right, for the sake of a seeming expediency. Those who act upon such a principle, do the utmost in their power to destroy all that is good in the world." "No act," continued Mr. Franklin, "can possibly be for the benefit of the public generally, which involves injustice to any individual. It would be easy to prove this by examples. But, indeed, can we suppose that our all-wise and just Creator would have so ordered the affairs of the world, that a wrong act should be the true method of attaining a right end? It is impious to think so! And I do verily believe, Benjamin, that almost all the public and private misery of mankind arises from a neglect of this great truth—that evil can produce only evil—that good ends must be wrought out by good means." To the close of his life, Ben Franklin never forgot this conversation with his father; and we have reason to suppose, that in most of his public and private career, he endeavored to act upon the principles which that good and wise man had then taught him. After the great event of building the wharf, Ben continued to cut wick-yarn and fill candle-moulds for about two years. But, as he had no love for that occupation, his father often took him to see various artisans at their work, in order to discover what trade he would prefer. Thus Ben learned the use of a great many tools, the knowledge of which afterwards proved very useful to him. But he seemed much inclined to go to sea. In order to keep him at home, and likewise to gratify his taste for letters, the lad was bound apprentice to his elder brother, who had lately set up a printing-office in Boston. Here he had many opportunities of reading new books, and of hearing instructive conversation. He exercised himself so successfully in writing composition, that, when no more than thirteen or fourteen years old, he became a contributor to his brother's newspaper. Ben was also a versifier, if not a poet. He made two doleful ballads; one about the shipwreck of Captain Worthilake, and the other about the pirate Black Beard, who not long before, infested the American seas. When Ben's verses were printed, his brother sent him to sell them to the town's-people, wet from the press. "Buy my ballads!" shouted Benjamin, as he trudged through the streets, with a basketful on his arm. "Who'll buy a ballad about Black Beard? A penny a piece! a penny a piece! who'll buy my ballads?" In this way our friend Benjamin spent his boyhood and youth, until, on account of some disagreement with his brother, he left his native town and went to Philadelphia. He landed in the latter city, a homeless and hungry young man, and bought three-pence worth of bread to satisfy his appetite. Not knowing where else to go, he entered a Quaker meeting-house, sat down, and fell fast asleep. He has not told us whether his slumbers were visited by any dreams. But it would have been a strange dream, indeed, and an incredible one, that should have foretold how great a man he was destined to become, and how much he would be honored in that very city, where he was now friendless, and unknown. So here we finish our story of the childhood of Benjamin Franklin. One of these days, if you would know what he was in his manhood, you must read his own works, and the history of American Independence. "My dear son," replied Mr. Temple, "it would require a whole volume of talk, to tell you all that is worth knowing about Benjamin Franklin. 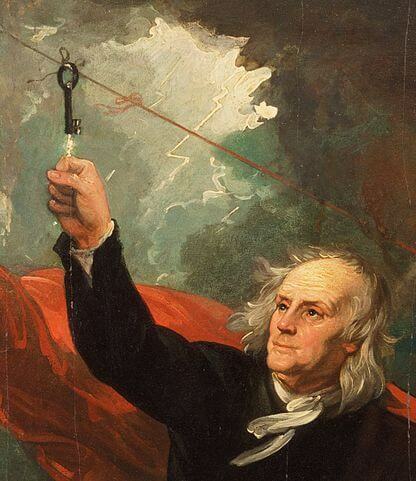 There is a very pretty anecdote of his flying a kite in the midst of a thunder-storm, and thus drawing down the lightning from the clouds, and proving that it was the same thing as electricity. His whole life would be an interesting story, if we had time to tell it." "But, pray, dear father, tell us what made him so famous," said George. "I have seen his portrait a great many times. There is a wooden bust of him in one of our streets, and marble ones, I suppose, in some other places. And towns, and ships of war, and steamboats, and banks, and academies, and children, are often named after Franklin. Why should he have grown so very famous?" "Your question is a reasonable one, George," answered his father. "I doubt whether Franklin's philosophical discoveries, important as they were, or even his vast political services, would have given him all the fame which he acquired. It appears to me that Poor Richard's Almanac did more than any thing else towards making him familiarly known to the public. As the writer of those proverbs, which Poor Richard was supposed to utter, Franklin became the counsellor and household friend of almost every family in America. Thus, it was the humblest of all his labors that has done the most for his fame." "I have read some of those proverbs," remarked Edward; "but I do not like them. They are all about getting money, or saving it." "Well," said his father, "they were suited to the condition of the country; and their effect, upon the whole, has doubtless been good,—although they teach men but a very small portion of their duties." Interested in reading Poor Richard's Almanack quotes? Learn about other famous Americans in our collection, American Biographies for Kids. Add Benjamin Franklin to your own personal library.